Smokey's just thrilled to be back on this project! He's totally thinking... why the scarf when it's 90 degrees?!? :) Love Smokey!! I would offer a hearty golf clap of delight at Smokey's return, but he just looks so . . . dejected. Don't tell him, but he still looks adorable here. 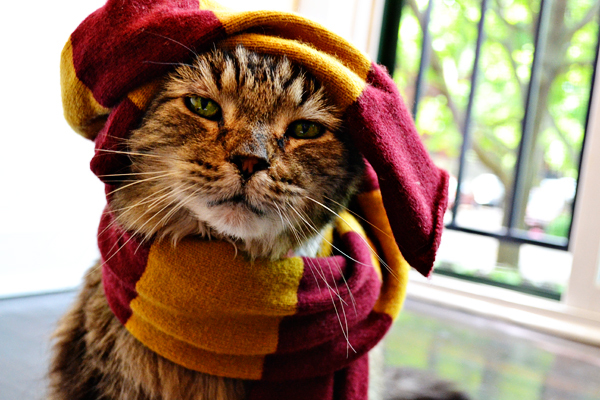 He looks like he's ready for Hogwarts. I think he's planning your death. Beware.